The NSX concept shown in Detroit hints at the production car's look. After redesigning the RDX and MDX crossovers, Acura will turn its attention to cars. The crucial redesign of the TL sedan coming next year (it probably will be renamed TLX) will also have to appeal to past buyers of the TSX, which is going away. After that comes the NSX, the much-hyped supercar that might be the brand's best bet to achieve true luxury status. Here is a look at Acura's future product plans. ILX: Acura knows it goofed by offering the underpowered 2.0-liter as the base model, and only having a stick shift available for the zippier 2.4-liter version. But the automatic transmission won't fit under the hood with the 2.4 liter, and re-engineering the engine bay is too costly before the spring 2017 redesign. That's when Acura will install an Earth Dreams engine. TSX: With the Honda Accord shifting to a global platform structure, that means there is no smaller European Accord on which to base the TSX. But the TSX continues to rival the ILX in sales, which puts Acura in a quandary. Still, it will go away at the end of the 2014 model year when the TLX arrives. TLX: A redesign of the TL sedan, likely to be renamed TLX, comes in summer 2014. As it will be based on the smaller global Accord platform, the Acura sedan will shrink as well -- slotting it in between the current TL and TSX in wheelbase and overall length. Spy shots indicate a more-defined trunk lid than the current slippery one. The big change will be the use of Honda's new Earth Dreams engine, a 3.5-liter V-6 that makes 310 hp when installed in the RLX flagship. RLX: The flagship sedan was redesigned in spring for the 2014 model year. RDX: The compact crossover was redesigned in spring 2012. ZDX: Acura is killing the MDX variant after the 2013 model year. MDX: The mid-sized crossover was redesigned for summer 2013. 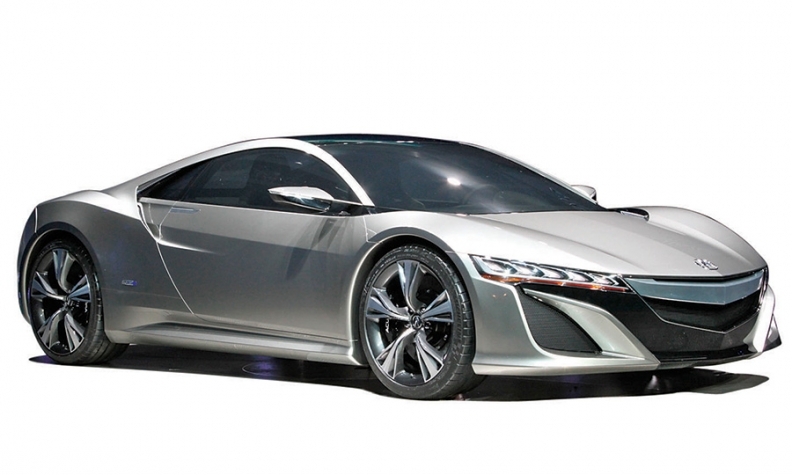 NSX: Acura's sports car will be as much about technology as performance when it arrives in the first half of 2015. Instead of a monster engine, the NSX will have a compact, direct-injection V-6 combined with a lithium ion battery pack for power. The Sport Hybrid All-Wheel Drive system uses two integrated drive units at the rear wheels connected to a motor-generator that delivers power. Regenerative brakes will capture electricity and then deliver torque to the outside wheel -- while absorbing negative torque from the inside wheel -- as the car goes through a corner. In addition, a Honda source said there could be a range of NSX variants that might include a lower-priced nonhybrid version.